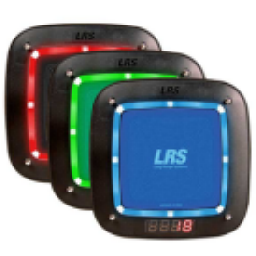 Guest paging systems were invented by LRS. But they have always depended on up to date paper or other records to operate efficiently. There has never been the ability to collect data from those systems - until now! But Guest Sessions is suitable for far more than only restaurants! It is perfect for logistics and warehousing, retail or anywhere that it is time critical to call back a customer. 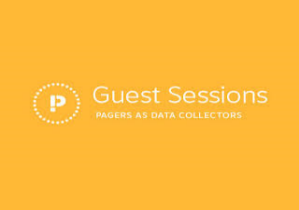 At last customer paging systems can be used with the guest sessions free application to collect important data. This data shows the key metrics of the business so that you can easily update procedures to make efficiencies and quality of service better. We have a complete separate website for Guest Sessions where you can learn much more about this application. 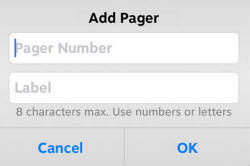 Give customers a pager - but now you can add their name to the pager. 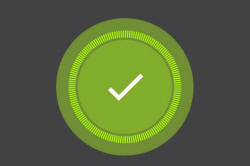 Both the pager number and name appear on screen so when it's time to recall a guest you can greet them by name. The system visually monitors waiting customers time and at 80% of your target time you are notified on screen as shown below - the visual representation changes to orange from blue. If any guest is waiting longer than your custom set target time then the visual representation on screen will turn red - showing that this customer is 'over target time'. 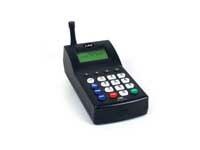 Recalling a guest could not be easier... simply touch the pager on screen and the customer will be paged, it's that simple. 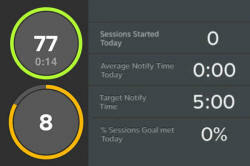 Coaster call pagers work great with guest sessions and make an incredible business tool. The Freedom T7470 transmitter integrates seamlessly in to the Guest Sessions app. It's simple to contact us and our trained staff are here to help!